The RockyGrass bluegrass festival in Lyons is sold out, but KGNU Radio has once again found a way to sneak everyone inside. Since 2008, the Front Range's local community radio station has broadcast live from backstage at the festival. This year, we'll once again be offering a continuous live stream from the stage from our 24/7 music website AfterFM.com. The non-stop RockyGrass stream will be available through AfterFM starting the morning of Friday July 27th. The stream will unite with the terrestrial broadcasts on Friday, July 27 from 11am-noon and 5-10:30 PM, Saturday from 9:00 AM-1:00 PM and 5:30-10:30 PM, and Sunday from 11:00 AM-3:00 PM, preempting regular programming during those hours. Throughout the festival, we'll be featuring live sets, highlights, interviews, and more, from backstage at RockyGrass. 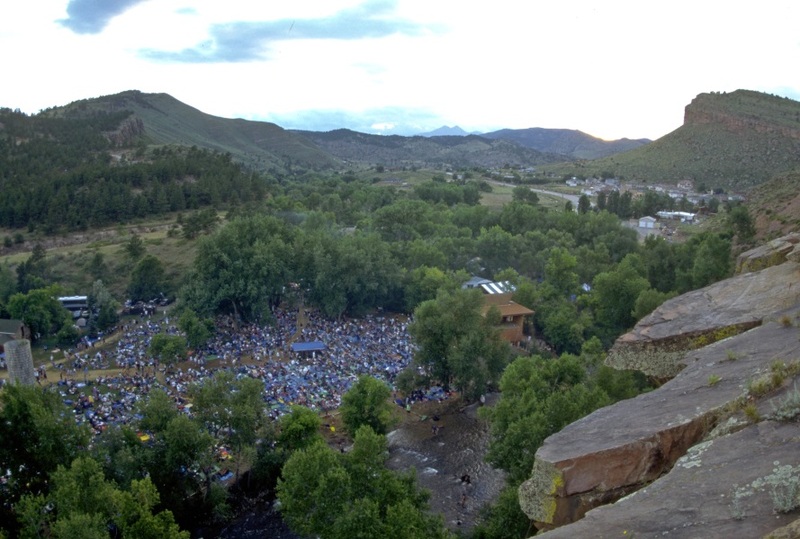 KGNU has been broadcasting live from RockyGrass every year since 2008. In 2012 we began adding a few festival highlights online. Listen, enjoy, and please spread the word about the live RockyGrass stream and archives. 9:00 - 10:30pm David Grisman & Peter Rowan Play "Old & In The Way"